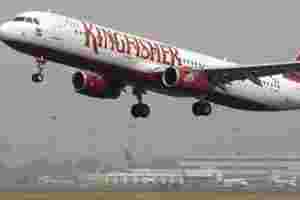 New Delhi: Cash-strapped Kingfisher Airlines Ltd plans to cancel 31 flights daily for the next 12 days, exposing passengers to the risk of being stranded in the middle of the peak season for air travel and opening the possibility of fare increases. The Mumbai-based carrier has decided to cancel 27 domestic flights on key routes covering the cities of Delhi, Mumbai, Bangalore, Chennai, Hyderabad, Kolkata and Kochi, besides four international flights to Bangkok, said an airline official and travel agency websites. Yatra Online Pvt. Ltd’s chief executive officer (CEO) Dhruv Shringisaid the airline had informed the online travel agency that it was cancelling many flights until 19 November without specifying any reason. He expects air fares to increase by 15-20% as demand exceeds supply on several domestic routes. “The immediate travel happening in the next two-three days will be worst hit," Shringi said. “As of now, we are being told it is temporary till the 19th. If this capacity is not put back, you are looking at increases in air fares across the board on certain sectors." Kingfisher CEO Sanjay Aggarwal did not respond to calls and a text message seeking comment. The Vijay Mallya-owned airline has been defaulting on payments to oil companies and airports, and had delayed salaries to its employees for August and September. The carrier suffered a loss of Rs1,027 crore in the fiscal year ended 31 March, by when it had accumulated Rs7,057.08 crore in debt. State-run oil firm Hindustan Petroleum Corp. Ltd temporarily suspended supply of fuel to Kingfisher for the second time in four months on 13 October. Indian Oil Corp. Ltd and Bharat Petroleum Corp. Ltd are demanding cash payments before flights for fuel. The flights that are being cancelled include four daily trips from Delhi to Mumbai, four from Mumbai to Delhi, two from Bangalore to Mumbai, two from Mumbai to Bangalore, one each from Mumbai to Hyderabad, Hyderabad to Mumbai, Bangalore to Delhi and Delhi to Bangalore. A daily Chennai-Delhi and Delhi-Chennai flight, two Hyderbad-Delhi and Delhi-Hyderabad flights, and Lucknow-Delhi, Bangalore-Kolkata, Kolkata-Hyderabad, Chennai-Kochi and Kochi-Chennai flights will also be cancelled. On the international sector, the Delhi-Bangkok, Bangkok-Delhi, Mumbai-Bangkok and Bangkok-Mumbai flights have been suspended between 9 November and 19 November. Kingfisher flies to 59 cities in India and eight international destinations with 325 daily departures on a fleet of 66 aircraft. About a dozen of its aircraft are already out of service because of maintenance and other issues, the airline official quoted above said. Kingfisher Airlines’ sudden move has worried online travel agencies that typically tie sales with travel packages especially in the October-December quarter, considered the best for Indian airlines. On average, an Airbus A320 aircraft, which Kingfisher flies, can do six commercial flights daily. “It means six-seven aircraft have been grounded," said another official with an online travel agency, who declined to be named. “We have been told that the aircraft are going for C-checks, but it looks like there is something more to it like fuel payment issues." C-checks are engineering checks for the aircraft that typically are planned by airlines well in advance as they are stipulated by the aircraft manufacturer.